Do you own a retired agility dog like Piper? Or perhaps your dog is showing signs of stiffness? ‘Hi, just wanted to let you know how impressed I am with the quality and fit of your coats. My 13 year old collie Piper seems very happy with her new coat. She is a retired Agility dog who is still very active but beginning to suffer a little stiffness after long periods of rest. I will be buying more for the rest of the gang soon. We receive so much amazing feedback about stiffness and arthritis so if your dog is showing signs why not give magnetic therapy a try? It’s making such a difference to so many dogs out there and we’d love to help your dog too. 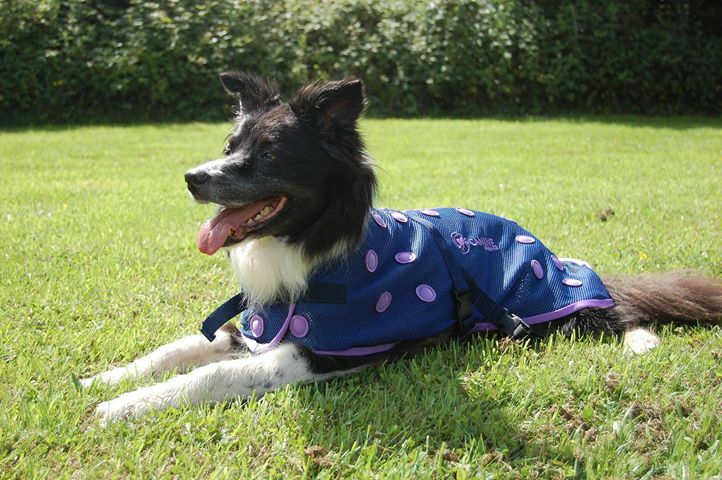 If you’d like some more information about our magnetic coat, click here. Or contact us directly on 01270 584 564 or email info@magnetixtherapy.com and we’d be very happy to help.